Family lawyers are feeling more positive than they have for some time that the Government is going to revisit the ways in which financial orders within divorce proceedings can be enforced. If amendments are made to the enforcement of financial orders, it will make it more difficult for recalcitrant spouses to avoid meeting their obligations. Individuals often feel relieved once they have a financial order within divorce proceedings. But sometimes, obtaining the order is only the first stage in what can be a long drawn out battle. f their spouse or former spouse fails to comply with the terms of a financial order within divorce proceedings, then the individual has to apply to the courts to enforce the relevant order. Failure to comply with a financial order within divorce proceedings can cause real financial hardship to the other party and any children, whether the order is one which requires maintenance to be paid, a lump sum to be paid, or a property to be transferred or sold. The current options available to individuals to enforce financial orders within divorce proceedings are mainly quite archaic, not always easy to understand, and can be quite long-winded in reaching a conclusion. 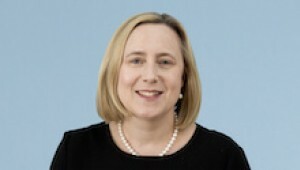 In 2016, the Law Commission prepared a report in which they stated that the law with regard to enforcing financial orders within divorce proceedings was overly complicated, and it was difficult to apply pressure on the person who had defaulted to comply, unless one followed relatively complicated procedures under the existing enforcement routes. It has taken the Ministry of Justice a year and a half to respond to the Law Commission’s recommendations, but a couple of months ago they did finally confirm, in a letter to the Law Commission, that the Government also shares their concerns about the current enforcement options. The Law Commission made a number of recommendations, some of which will require a new Act of Parliament. But some of the recommendations made by the Law Commission could be adopted without primary legislation. The Ministry of Justice has indicated that they will work with family judges and practitioners to look at which of the changes recommended by the Law Commission could be introduced by way of changes to court rules, rather than primary legislation. As part of the enforcement process, to allow monies in joint bank accounts, and pension assets, to potentially be subject to seizure. It has long been felt by most family practitioners that the rules regarding enforcement of financial orders within divorce proceedings can be a disincentive to individuals to enforce payment of what they are entitled to, because the process is complicated, and it can also be costly. Although we don’t have a timeline yet for the improvement of the rules regarding enforcement, and it is likely to take years rather than months before all the recommendations are implemented, any changes which can be introduced without primary legislation will benefit the individuals.